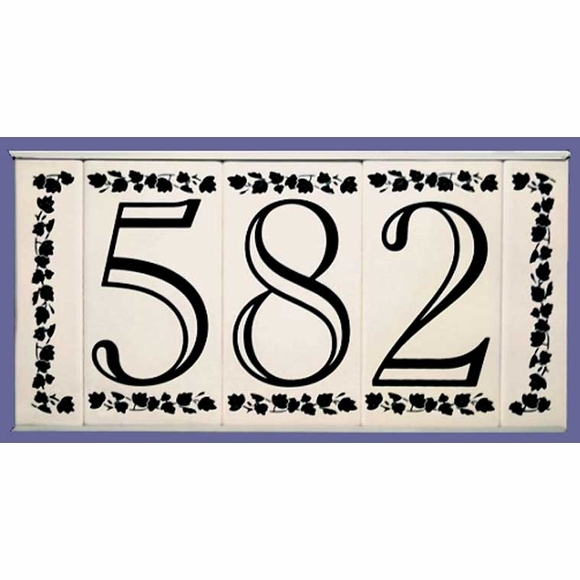 Framed Ceramic Tile House Number Sign - - with three numbers. Custom made for you. Clients also refer to this as our tile holder plaque or address plaque holder for tiles. Each number appears on its own individual ceramic tile. Tiles are arranged either in a nearly invisible slimline frame. Color and font style for each frame type are as shown above. 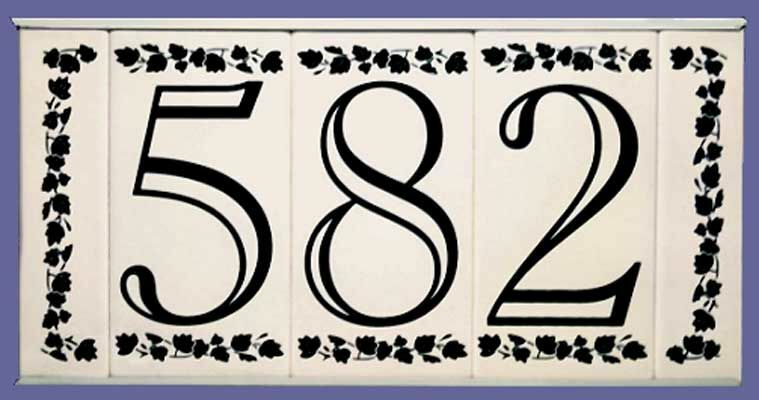 Dimensions: approximately 12"W x 6"H.
Each ceramic tile with a number is approximately 3" x 6"; each border tile is half-size or about 1.5" x 6".